Welcome to day 30 of my blogging challenge. In case you missed what it’s all about, you can read more in day 1. And, today marks the end of this great blogging journey! Today’s challenge: What would you do as a teacher if you weren’t afraid? As co-organizer of EdTech Women – Austin, this is a question we ask of our members – what would they do if they weren’t afraid. It’s a critical question that we should all ask ourselves – students, administrators, teachers, and more. I like to think that I take a lot of risks as an educator. In fact, my co-worker and I were talking about this the other day. When we look at our students and teachers we help, we have some who aren’t afraid to press the buttons and troubleshoot. And, then, we have a section who are afraid to break something so they don’t touch those buttons and, consequently, don’t learn. It is this way in every industry. You have the people ready to press all of the buttons and the people who don’t want to out of fear. We need to press those buttons. We need our teachers and our students to press those buttons. I can’t say I’m afraid to take risks. My entire teaching career has been one of risks. However, there is still more to do that I have not done. So, I guess I would say: what do I want to do? Isn’t that the same thing? There should be no difference in being afraid or not being afraid. I want to change policy. I want to change our definitions of learning and teaching. I want to walk into classrooms and see learning at all paces – not one mandated by the state. I want to see innovation happening. I want to see students and teachers pressing those buttons. How will I do this? Gradually. I work on this every day. I try to create environments open to learning. Baby steps with teachers in the form of App-y Hours, and numerous informal learning opportunities. Opportunities for leadership with students in the form of student tech clubs. I inundate people with learning and innovation opportunities. 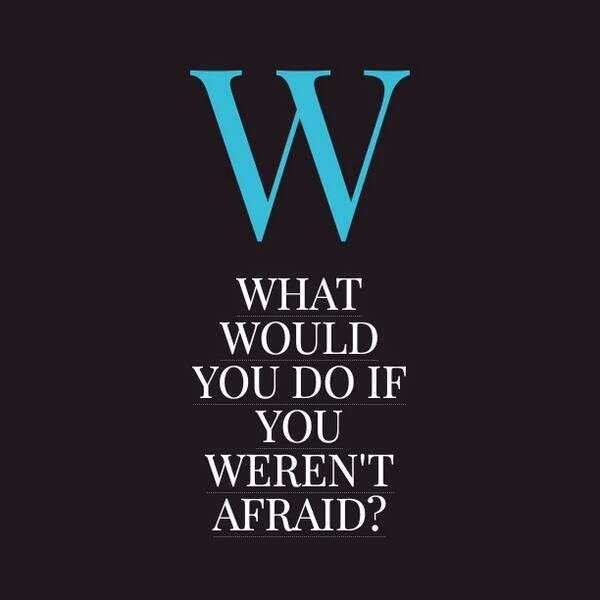 What about you – what would you do if you weren’t afraid? Or, better yet – what WILL you do? This has been an awesome 30 day challenge and a great model for student blogging. Please share out and give it a try! Welcome to day 29 of my blogging challenge. In case you missed what it’s all about, you can read more in Day 1. Today’s challenge: How have you changed as an educator since you first started? I’d hope everyone’s answer would be YES! Change is part of any profession – not just education. Each day, each year, each decade are not the same. Therefore, your practices should not be the same. That said, I like to think I’ve a very different educator from when I first started. When I first started, I was fairly creative in the types of lessons and assignments I assigned. I loved integrating technology and I loved trying new things. However, I was also less confident and was overwhelmed by all of the demands placed upon teachers. Part of my change is due to just advancing in a career – meeting new people, encountering new situations, and just wising up. However, other parts of my change are due to my connections. In my first year of teaching, my principal said, “Hey, you’re getting an eMINTS4ALL classroom.” And, that was that. So, for the next four years, I implemented more and more as part of the program and attended training after training. It was, in those four years, that I really found a love for instructional technology and helping teachers help students. So, I switched roles. I became a tech director. It was in those two years that I realized I did NOT want to be just a fix-it person. I had to work with teachers and students. And, I realized I wanted to influence change in education more than ever. So, I became an instructional technology specialist. I’m in year three of this position now and, each day, my focus and passion narrows, causing me to adapt who I am as an educator. I used to be about the tools and now, I’m about the content driving the tools. I’m more liberal as an educator and more forgiving of students. It’s hard to say exactly how I’ve changed, but I continue to evolve from the people I meet each day. What about you – how have you changed? Consider reading this article and see if it changes you. Welcome to day 28 of my blogging challenge. In case you missed what it’s all about, you can read more about it in Day 1. Today’s challenge: Should technology drive curriculum or vice versa? On first glance, I thought – well, curriculum should always be at the foundation of any educational decision. And, while it is, technology is also at the foundation. Here’s why: technology drives change in our society. Facebook was created and now, our social interactions have forever changed, calling for action in the education industry. So, in that regard, technology does drive curriculum because it creates changes in our day-to-day lives, which calls for change in education. HOWEVER…curriculum should also drive technology or at least be the backbone. One of the common mistakes I see teachers make (and I do this myself more often than I’d like to admit) is find a cool new tool and try to force it into their curriculum. Doing it that way is just forcing technology into the curriculum. When I ask my high school Warrior Tech members how technology should be used in the classroom, they say “it shouldn’t be used to just use it. It should be clean and careful.” Meaning, technology should be used to help teach something you couldn’t without. For instance, when I taught HS English, I was frustrated at teaching research skills to my students. They did not grasp citations nor did they ever cite their work. I stumbled upon Easy Bib and integrated into my classroom as a solution to that issue – not because I just had to use Easy Bib. See the difference? It’s a fine line. So, I guess they are kind of the same. Technology is used to help students learn. It drives change in our day-to-day lives which, as educators, we must address in the classroom. In addressing it, we may use technology to help those students. It’s cyclical. You can’t have one without the other. You need both technology and curriculum. And, they aren’t separate. For every curriculum discussion, there needs to be those in tech-focused areas involved and vice versa. What about you? Should tech drive curriculum or vice versa? Welcome to day 27 of my blogging challenge. In case you missed what it’s all about, you can read more in Day 1. Today’s challenge: What role do weekends and holidays play in your teaching? During my first years of teaching, I would say, “weekends, holidays – huh?” And, I still do spend a lot of time working during them. The difference is, now, I dedicate any work I do during them to learning. For instance, I will catch up on Twitter and Google +. Learning is fun and I think weekends and holidays should be a mental break from labor. Therefore, I compromise by dedicating any work I do then to learning something new. Last weekend, I taught myself how to cartoonize myself in Photoshop. The educational value was not high, but I learned something new I can utilize at a later point. As educators, we work, work, and then, work some more. We feel guilty when we don’t do work on a week night, weekend, or holiday so, we continually take work home with us. When we don’t complete it, we feel bad about it. Last year, I adopted a new plan to stop the guilt and start the learning. Learning is both a great use of time and a mental break. I thought back to my days of coaching and competitive running. When I got closer to a competition, I had fewer, more intense workouts. But, I also had active rest days. That’s what educators need: active rest days. For me, those days are catching up on my social media, exploring new sites, and making myself get inspired. What about you? What are weekends and holidays for? Welcome to day 26 of my blogging challenge. In case you missed what it’s all about, you can read more about it in Day 1. Today’s challenge: What are your three favorite go-to sites for help/tips/resources in your teaching? Today’s world is about the knowledge of the whole as opposed to the knowledge of the individual. That said, most of my knowledge comes from the groups I’m involved in. The more I network and the larger I make my group, the more resources I have. And, perhaps, this is the point of October, Connected Educators’ Month – expanding circles. This is the most important skill I have – the ability to find information and the ability to use that information. So, how do I expand my group? What is in my group? 1. Google + Communities. 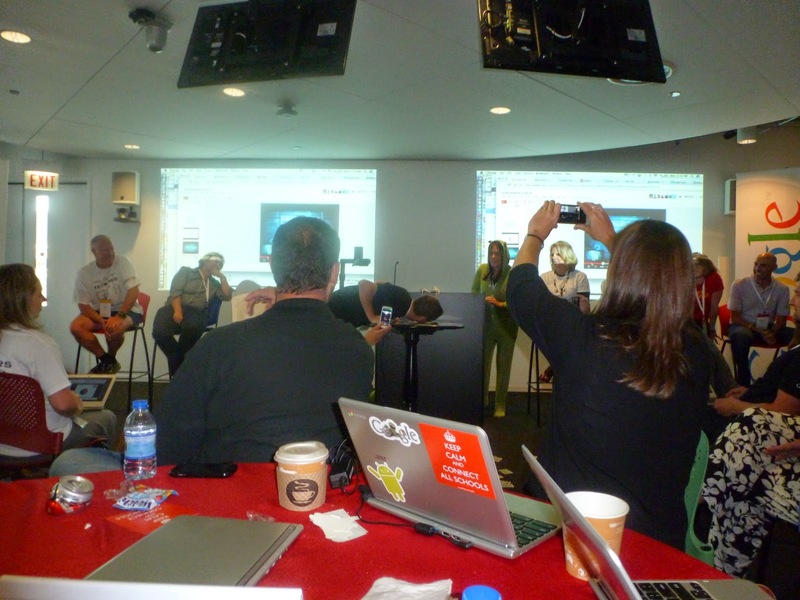 I am a member of quite a few Google + Communities between my two main Google accounts. When I have a question directly related to work, I post it to my RRISD ITS Community. When I have a more general question, I post it to any one of my Google Educator communities and, instantly, I have answers. Not only are these communities responsive and a wealth of information, they are real people and real relationships! 2. Twitter. I joined Twitter shortly after Twitter was created. However, I did not use is very much until about a year and a half ago. 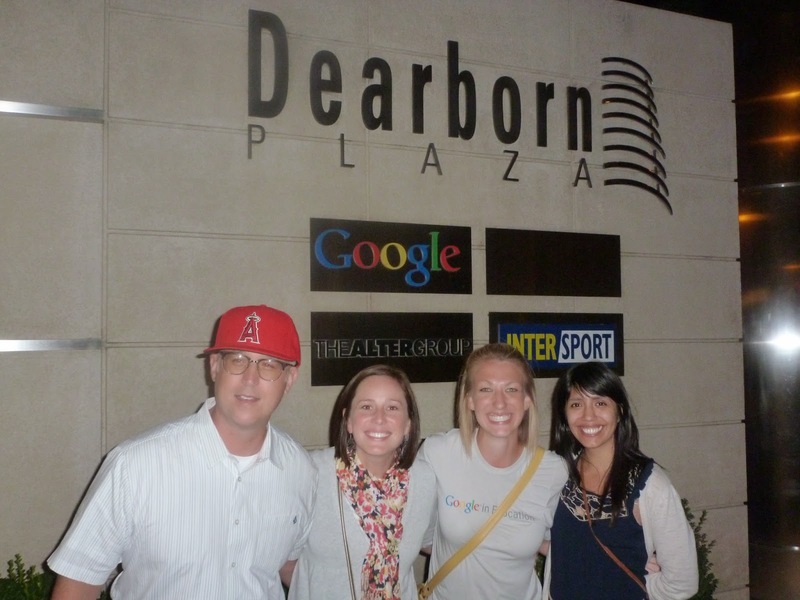 With Google + Communities, it made sense that I would find information in those communities. However, with Twitter, I was overwhelmed with “how do I search for information and find it?” I understood hashtags somewhat, but not how to search them. When I discovered the Chrome extension, TweetDeck, my world changed and I was instantly able to search various hashtags that were useful to me. 3. My trainer forums. I know this is not a site, but the feedback I receive is instantaneous and it is game-changing. If I have a question about using Google or some other application, I can ask and I know I will get many responses from awesome educators. It is important to have your go-to people. Even though I don’t know every one personally, they are now a community to me – a learning community. PLNs are the way to find resources. Period. How do you get your resources? Welcome to day 25 of my blogging challenge. In case you missed what it’s all about, you can read more about it in Day 1. Today’s challenge: The ideal collaboration between students – what would it look like? I really enjoy seeing students collaborating without an awareness of the teacher. I like watching students collaborate because they are empowered and because they are directing their learning. When the collaboration is forced, it doesn’t work. For instance, as I am starting our Warrior Tech program for some of our high school students, I have so ideas of how I would like to see it run and I interject every so often, but mostly, I sit back and let them take charge through pointed questions. I ask them to describe what it is they want to see happen at campus and why they joined. And, I work as a note-taker, jotting down their ideas and reading them back to them. I wish I had done this more as a teacher. In just a month of doing this, I have learned so much and we have already started to make strides – in ways I had not imagined. Giving students the power and freedom to collaborate is the best way for students to collaborate. I know that sounds ambiguous, but there is a real difference between forced partnering of students and giving them assigned tasks and giving students questions and allowing them to break off in those questions. When we allow our students to do that, learning occurs. How do you envision an ideal collaboration? Welcome to day 24 of my blogging challenge. In case you missed the previous 23 days, you can read more about it in day 1. Real world ties – providing curriculum and content that is driven by students’ real world needs. And, aren’t these the things our mission and vision statements are always made of? So, as much as I love the idea of game-based learning and some of the other trends, I try to avoid the name and focus on the elements that are important. I’ve found seasoned educators are skeptical of new trends, stating “they have been around before.” Therefore, it’s crucial in my role to not “sell” a particular method of learning as a trend, but rather focus on the elements that are critical for our students – like the ones mentioned above. What about you? Do any trends capture your interest or are you like me on this one? Welcome to day 23 of my blogging challenge. In case you missed what it’s all about, you can read more in day 1. Today’s challenge: Write about one way that you “meaningfully” involve the community in the learning in your classroom. If you don’t yet do it, discuss one way you could get started. I have this discussion often. Recently, we were asked if our district should be responsible for supplying access to online resources while at home. And, my dilemma is that, at the end of the day, tax payers fund our students’ learning and resources. And, we are required to represent those interests. With that in mind, how do we “meaningfully” involve the community in our learning while respecting their interests (as vested taxpayers and as critical voices) and protecting our students’ and teachers’ interests? For me, I love to showcase what our students are doing while giving the community an opportunity to come and share. Last year, fellow ITSs, +Krista Tyler and +Shannon Sieber and I hosted an I ❤ Tech Fest for students, teachers, and community members. We set it up in a makerspace kind of environment. Beforehand, we asked students, teachers, and community members to submit ideas to share. Then, we opened it up for community members, parents, teachers, and students to attend. Though our turn-out was small, the learning that occurred was amazing. We had one community member come in and set up a table about Gamestar Mechanic while a teacher shared out Google Calendar has saved her marriage. Several students shared Scratch and projects they have done with it. It was a great way to bring in the voice of the community, pool their knowledge, and share back. I think those three items are crucial when bringing in the community: their communal wealth of knowledge is unimaginable, but it is also important to share back the learning that occurs as they are vested parties. What about you – how do you “meaningfully” involve the community? 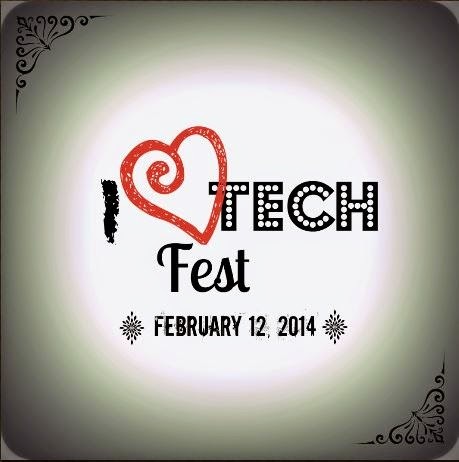 Here is the link to the I ❤ Tech Fest that we did last year in case you want to replicate it. Welcome to day 22 of my blogging challenge. In case you missed what it’s all about, you can read more in day 1. Today’s challenge: What does your PLN look like and what does it do for your teaching? My PLN consists of Google + (and a GAzillion communities), Twitter (and many associated Twitter chats), my GTACHI crew (Google Teacher Academy Chicago 2013), my Google Educator Group Texas, my Google Education Trainers group, my own Round Rock ISD community, the teachers on my campus, and more. In fact, my PLN grows each day. One network I’d never give up is my GTACHI friendships. I’ve forever changed as an educator since my GTA experience. I’ve said it many times and I’ll continue to say it, but the most learning I get comes from my PLN. I have been to numerous conferences in the past, but I have to learn as much at any of them as I do on a daily basis from my PLN. 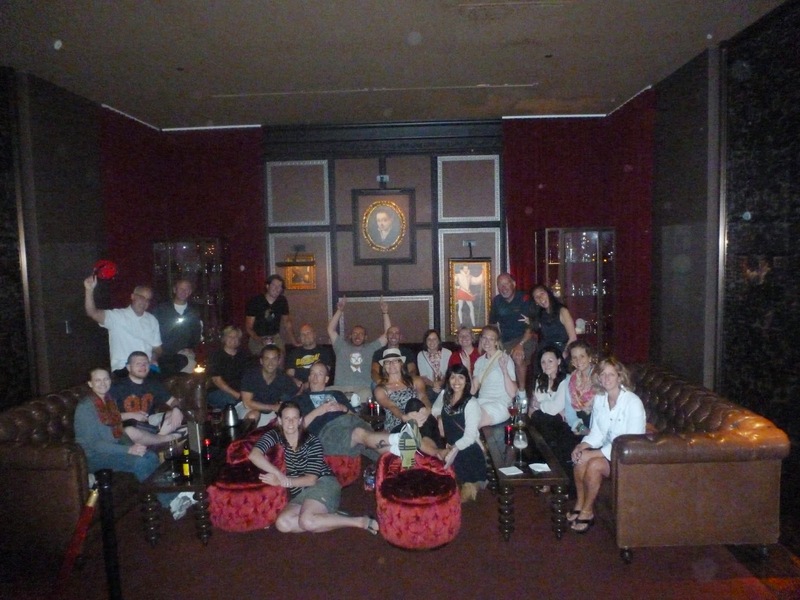 The benefit to the conferences is networking in order to build up my PLN more. As a teacher, I understand it can be easy to become overwhelmed by too much information, but I also know that my PLN helps me solve problems quicker than ever and become a better educator. Therefore, it’s crucial to help other educators build PLNs that matter to them and that are not burdensome. 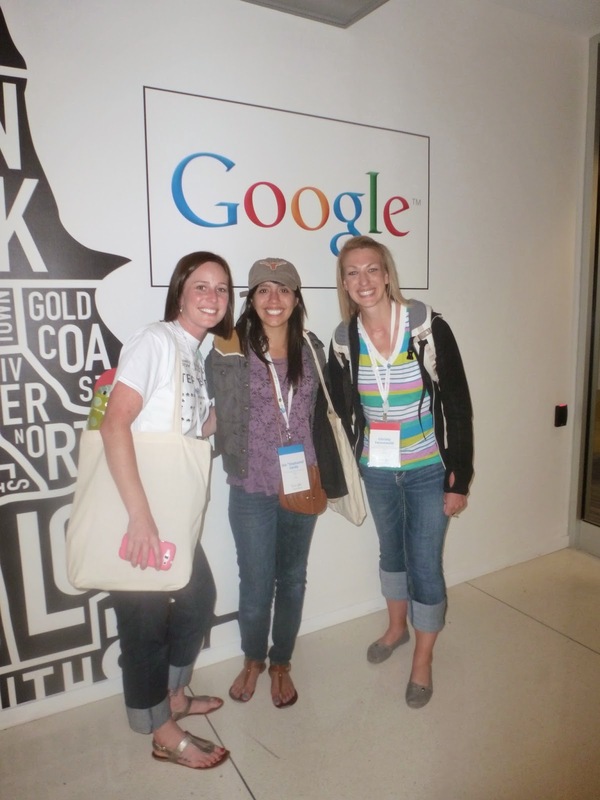 For instance, not all educators will benefit from Goolge + (even though, I feel I could not live without it). But, they may benefit from attending Twitter chats. PLNs are about customization. There is no “one size fits all.” In fact, any attempt to make all educators join a particular community or network is a disservice to them. Rather, it’s important to guide them into networks that will help them advance. What about you? What are your favorite networks and how does your PLN influence you?